The Grand Trunk Railway began operating in Stratford in 1856. In 1870 it became Stratford's major employer when it set up a massive locomotive repair shop. 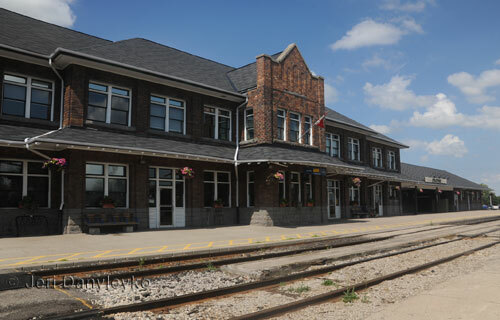 Two early stations (not pictured) were built in 1856, one for the GTR and the other for the Buffalo and Lake Huron Railway (later GTR). The Buffalo built a new station in 1861 (not pictured) which became part of the GTR after the two lines merged a couple of years later. In 1870 the Buffalo/GTR station was replaced yet again with another station that included a baggage room. It lasted until 1913 when the current station was built. 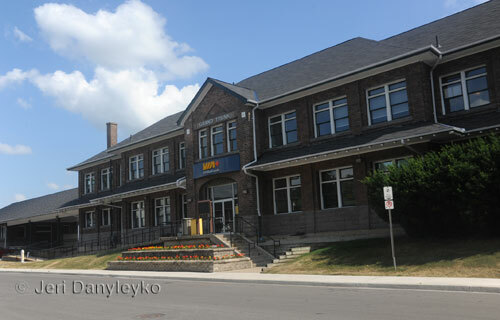 This building is a designated heritage structure and remains in use by VIA Rail.